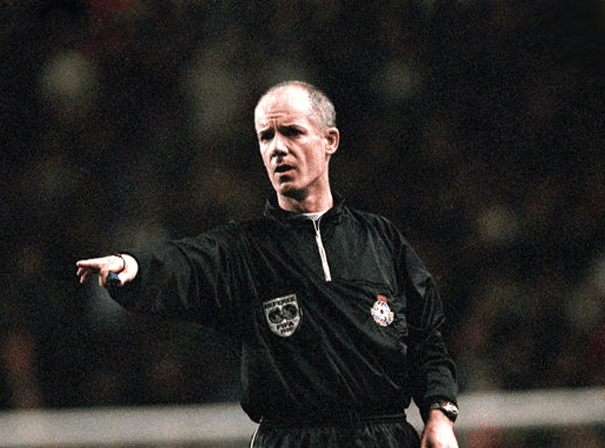 If you are looking for an after dinner speaker who can reveal some real insights into the top flight game of English football, then experienced referee Dermot Gallagher is one of the best. Born in Dublin, the Irish and now retired referee was the only one who had been on the Premiership circuit since its very beginning all the way back in 1995. He did so until 2007 when he retired having also worked in the Football League, and he was also a FIFA listed referee between 1994 and 2002. Dermot came into the world just one day after Ireland’s famous 1-1 draw with England in Draymount Park and was named after the Irish goalscorer that day, Dermot Curtis. He first took up the refereeing role in 1978 and eventually became a fully blown ref aged just 33. He quickly progressed through the ranks after showing himself to be a capable and respected presence and regularly got handed high profile games. Gallagher has refereed on every continent except Australia and has done so at just about every ground in the league. Dermot now regularly appears on Sky Sports News to discuss sporting issues and is also available for dinners, media evenings and refereeing conferences where he can impart his wealth of knowledge.